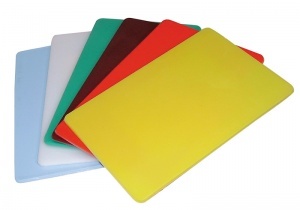 Colour Coded Chopping Board - PRICE DROP! Catering quality, tough & durable. Manufactured from high quality polyethylene. Colour coded for safe food preparation and to prevent cross contamination.